Welcome to the Papua New Guinea Scriptures site! We offer downloadable epub version 3 files for each of the Scriptures we offer text for. These electronic books are free (except, of course, for whatever you pay for Internet access), and may be freely shared. Look for the link labeled "epub3" on each Bible translation's main index page. Some Bibles also have Kindle mobi versions. We also have links to an online inScript online Bible study application for each language. To use these Bibles with Bible study applications that are part of the Crosswire Sword Project, set up the repository at ftp://eBible.org/pub/sword or manually unzip the Sword module files pointed to on each Bible translation's page into the Sword program's local module repository. Papua New Guinea is linguistically the most complex nation of the world. Over 800 languages are spoken in this Pacific country. This site provides access to 241 translations of the Holy Bible or portions thereof in Papua New Guinean languages and dialects in HTML, 25 in audio format, and 2 in video format. (Some of the videos are hosted on JesusFilmMedia.org.) You may also find Sunday school teaching materials and other helps for using Scripture, here. Scriptures are posted here with permission of the copyright holders. Some materials may also be published here for the first time. You are free to read, download, and share the Scriptures posted on this site according the terms given in each Bible's copyright information page. 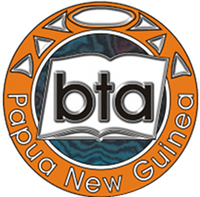 This site is sponsored by the PNG Bible Translation Association (BTA), which is a national organisation in Papua New Guinea committed to translating the Bible into the languages of the country. You can learn more about us at the BTA web site. We trust you will enjoy visiting the png.Bible and TokPlesBaibel.org sites and wish you God’s blessing. Some of the languages posted here have characters not found in the stock fonts that come with your computer. Please download and install the Andika font, and make sure that your browser is set to render pages using the Unicode UTF-8 character encoding. You may pick a language on the menu at the left to download or start reading the Holy Bible in that language. There is a new Crosswire Sword module repository that includes text Scriptures in all of these languages at ftp://ftp.eBible.org/sword and at http://eBible.org/sword. These modules can be used with programs like AndBible for Android, PocketSword for iOS, Xiphos for Windows and Linux, and Eloquent for Mac OS. 3 April 2019 Added the rest of the Kandas New Testament. 2 April 2019 Removed Bwaidoka Genesis pending a translation update. 30 March 2019 Added 26 books to the Label NT. 15 July 2018 Updated Mussau-Emira Bible. 12 July 2018 Updated Misima-Paneati. 26 February 2018 Updated Arop-Lokep audio and added Android apps. 22 December 2017 Added Urat (urt). 25 November 2017 Added Luke and Acts to Nukna (klt). 16 March 2017 Added Uare (ksj). 17 March 2017 Updated Saliba (sbe). 16 March 2017 Updated Doromu-Koki (kqc). 8 January 2017 Added Bwaidoka Genesis. 2 January 2017 Updated Doromu-Koki (kqc) again (removed extra asterisks). 26 December 2016 Updated Doromu-Koki (kqc). 2 December 2016 Added Ogea (eri). 7 November 2016 Updated Waskia (wsk). 28 September 2016 Added Saisai (nmw). 14 September 2016 Added Sudest (tgo). 13 September 2016 Added Kurti (ktm). 19 June 2016 Added Takuu (nho). 15 June 2016 Added Mountain Arapesh Bukiyip (apeB). 29 May 2016 Corrected a problem with HTML navigation on Scriptures that have partial books of the Bible in them, like Jabem. Reworked the TokPlesBaibel.org web site navigation and included titles on the welcome page. 29 April 2016 Added Anjam second revision 2014. Updated Mussau-Emira and Kandas. 15 April 2016 Added books to Anuki and Kakabai. 14 April 2016 Added books to Are. 13 April 2016 Added Kaninuwa. 22 March 2016 Updated Kanasi. 30 January 2016 Updated Doromu-Koki. 7 October 2015 Added Buhutu. 30 September 2015 Added 5 books to Odoodee NT. 9 September 2015 Updated Molima Matthew 26 audio. 5 September 2015 Added Dedua Romans audio. Updated Crosswire Sword module links. 13 August 2015 Added Binandere Mark, Luke, and Acts. 9 August 2015 Added links to Crosswire Sword Bible study program modules. 18 April 2015 Added more mobi links. 20 March 2015 Added inScript and mobi links. Corrected copyright information for Enga and Kamo-Kafe. 20 February 2015 Added epub files for each Scripture that we have text posted for. 21 January 2015 Separated out new portion of Enga Scriptures in enq2 directory. 27 November 2014 Added Kamano-Kafe. 11 October 2014 Added audio Scriptures for Malol, Onnele Goininiri, Onnele Rombar, Sissano, Bauni Barupu, and Bauni Pou. 9 October 2014 Added 1 Timothy to Mbula. 7 October 2014 Added some audio files to Baruya. Updated Enga Genesis and Mark and added audio. Added Enga Android app. 3 October 2014 Added revised Waskia Scriptures. 1 October 2014 Added Android apps to Waskia. 31 August 2014 Added 4 Deuterocanon books to the World English Bible. 8 August 2014 Added Tai NT. 27 July 2014 Added the rest of the Kandawo NT text and more Kandawo Audio. Added Arop-Lokep audio. 25 June 2014 Added Dano Exodus PDF. Updated Tawala NT. 23 June 2014 Added Arop-Lokep. 18 June 2014 Updated Iyo. 16 May 2014 Upgraded the format of the Scripture HTML files again with an even more compact version for better mobile display. 6 March 2014 Upgraded the format of the Scripture HTML files with a more compact version for better mobile display. 26 January 2014 Added Nukna Ruth and Mark. 3 January 2014 Added English Ezekiel and Daniel. 3 January 2014 Added English Lamentations. 2 January 2014 Added English Jeremiah. 11 December 2013 Added Kandawo Philemon and updated Kandawo audio. 10 December 2013 Added Kandawo Hebrews. 6 December 2013 Updated Doromu-Koki. 2 December 2013 Added 1 Corinthians and Ephesians to Mussau-Emira. 19 September 2013 Added Migabac Matthew and Hebrews and updated Migabac Ephesians and Philippians. 11 August 2013 Added Binumarien Genesis and Exodus. 22 July 2013 Added Marik NT. 11 July 2013 Re-added Baruya video. Added Tok Pisin video. 9 July 2013 Re-added Seimat NT. Added Kandawo John and more audio files. 25 June 2013 Updated Buk Baibel long Tok Pisin generated HTML in Apocrypha/Deuterocanon. 30 May 2013 Updated Buk Baibel long Tok Pisin text (corrected a few typos). 29 May 2013 Added Buk Baibel long Tok Pisin text. 16 May 2013 Added Saliba Acts. 15 May 2013 Added audio for Saliba Matthew and Mark. 14 May 2013 Added Awa, Huli, Ipili, Kuman, Kyaka, Misima-Paneati, Naasioi, Takia, and Tok Pisin audio. Added more audio chapters to Kandawo NT. 13 May 2013 Added Aruamu audio. 8 April 2013 Removed Baruya video pending copyright question resolution. 13 March 2013 Added 6 NT books to Kandawo. Added more Kandawo and Rossel audio files. 14 February 2013 Updated Saposa. Added more audio to Rossel. 12 February 2013 Added more audio files to Kandawo. 8 February 2013 Updated Iyo. Added Yipma Genesis and Luke video. 5 February 2013 Added 5 NT books to Kandawo. Added some Matthew audio files to Yele/Rossel. 2 February 2013 Added Hanga Hundi Jonah. 1 February 2013 Added Hanga Hundi New Testament. 30 January 2013 Added Dedua audio and Migabac audio. Added Migabac Ephesians and Philippians. Added 8 books to Mussau-Emira. 29 January 2013 Added more Kandawo audio files. Added Odoodee and Kaluli NT portions. 24 January 2013 Updated Rotokas, Kyaka Enga. 23 January 2013 Added Qaquet Ruth. 19 January 2013 Added Kyaka Enga. 18 January 2013 Added Kandawo Matthew, Acts, and Romans. 17 January 2013 Updated Iyo. 10 January 2013 Updated Kunimaipa, Karkar-Yuri. 9 January 2013 Updated Madak, Kuot, and Waskuk. 8 January 2013 Updated Tinputz formatting. 5 January 2013 Added English Nehemiah. Restored ~ character to Naasioi. Updated Ambulas Maprik, Mufian, Huli, Kâte, Komba, Miniafia, Manam, Arapesh, Pele-Ata. 4 January 2013 Added English Ezra. Adjusted front matter on Guhu-Samane NT. Updated Motu, Abau, and Arapesh. 2 January 2013 Added English 2 Chronicles. 21 December 2012 Corrected problem with access to Molima, Rossel, and Kandawo audio files from TokPlesBaibel.org. 20 December 2012 Added audio to Yele NT. Updated cover art in existing Yele audio files. 18 December 2012 Corrected title markup in Kuman. 17 December 2012 Corrected glottal stop character in Kanite. 15 December 2012 Corrected some problems with Kuman, Kosena, Korafe-Yegha, Koiali, and Kobon Scriptures. 14 December 2012 Corrected some problems with Iatmul and Kanite Scriptures. 23 October 2012 Corrected some vernacular titles and some copyright information. 20 October 2012 Added English 2 Kings. 19 October 2012 Added Madak Psalms. Updated and corrected some copyright information. 12 October 2012 Added illustrations to Bariai Bible. 11 October 2012 Added Jabem Shorter Bible. 6 October 2012 Corrected a few typos in Mara Gomu NT. 5 October 2012 Corrected character set issue in Iduna. 4 October 2012 Corrected character set issue in Ankave, Bunama, and Filifita (aoj-filifita). 29 September 2012 Added Saveeng Oov and Saveeng Tuam. 28 September 2012 Added more Kandas books. 27 September 2012 Added Kandawo MAT 1-4 audio. Added portions of the Migabac Bible. 25 September 2012 Added English 1 Kings. 24 September 2012 Added Aruamu NT. 31 August 2012 Added Enga NT. 30 August 2012 Added Kuanua Bible. 28 August 2012 Added Motu Bible. 27 August 2012 Removed Seimat NT. 23 August 2012 Added Huli Bible. 12 August 2012 Added English 2 Samuel. 9 August 2012 Added English 1 Samuel. Added Seimat NT. Updated Sursurunga NT peripherals. 7 August 2012 Fanamaket Mark, Philippians, 1 and 2 Thessalonians, 1 Timothy, and James. Added Kandas Mark. Added Label Mark. 4 August 2012 Added Suau Genesis, Exodus, Joshua, and Psalms. 22 June 2012 Added more Yele Rossel audio recordings. 31 May 2012 Added English Isaiah. 28 May 2012 Added Nali Mark. 4 May 2012 Added Judges and Ruth to the World English Bible British Edition. 28 Apr 2012 Added Joshua to the World English Bible British Edition. 12 Apr 2012 Added more Edolo books. 20 Mar 2012 Added Veqaura NT portions. 16 Mar 2012 Added Yele Isaiah audio. Merged Somba-Siawari and Burum-Mindik. Added Borong Genesis, Ruth, and Jonah. 15 Mar 2012 Restored Ambulas Wosera 1 Peter 5:9-14 from the printed edition. 10 Mar 2012 Added Somba-Siawari. 7 Mar 2012 Added Hiri Motu Bible. 6 Mar 2012 Added Edolo Matthew, 1 & 2 Timothy, and Titus. 28 February 2012 Added Arau Genesis and Gospel portions. 27 February 2012 Added Aatasara John and Mark. 26 February 2012 Posted corrections to Tairora Scriptures. 23 February 2012 Added Yipma/Baruya Tok Pisin - Yipma transfer primer. 17 February 2012 Added Angal Henang and Suau NTs. 16 February 2012 Added North Tairora 2 Samuel and more Rossel audio files. 15 February 2012 Added the North Tairora Scriptures. 13 February 2012 Added the Kube NT. Made additional spelling corrections to Naasioi Scriptures. Corrected text encoding problem in Waskia Scriptures. Quotation marks should now display correctly, and formerly mismarked translator comments should not be in the displayed text. Corrected '- to ' and moved Gen. 6-50 footnote in Naasioi NT + Genesis. Finished navigational structure update. Finished changing page titles to vernacular title where I know them. Corrected cross-reference problem in Iduna NT. Corrected text encoding for the Borong preface. Made some copyright notices more precise. Added some Yipma/Wagama Scriptures. Started changing navigational structure so that the link to the book goes to the book index, and the link to the translation goes to the index page for the translation. Added the Maiwa NT. Started changing page titles to the vernacular title of the New Testament or Bible where I know those. Found the official Ethnologue code for Minimib. Added the World English Bible British Edition New Testament and portions of the Old Testament. Made book links from the index page go to the section heading index and corrected some major section heading references. Corrected the electronic text of the Dano NT to conform to the version of the printed text as corrected with stickers, plus inserted one more correction supplied by the translator. Added some Rossel audio files. Corrected a table formatting problem. Made some formatting corrections to better separate the Inspired Word of God from helps and navigation aids like introductions and section headers. Added font embedding to prophero.css for devices that the user can't install a font on, and for convenience such that they don't have to on devices where they can install fonts. This makes a big difference on smart phones for languages like Melpa. Reformatted pages to better work with both small and large screens. 17 September 2011 Added Miniafia, Lote, and Malê-Hote NTs. Added Ata NT+Genesis and Jonah. Added Yopno NT and Psalms. Updated Yipma/Baruya Memory Verse Book and 10 Commandments. 16 September 2011 Added Yele Rossel audio files. 14 September 2011 Updated Yipma (Baruya) Bible topic book. Corrected character encoding in Anggor preface. Refiled Sembeleke under Ethnologue code ssx. Added didactic appendix for Amele. 7 September 2011 Added Yipma (Baruya) Bible memory verse book. Fixed Amele introduction outline formatting. Added the Sinaugoro NT. 6 September 2011 Corrected a problem with missing text in Patep NT. Added Yaweyuha NT. Updated Waskia NT+Genesis. Added a Facebook "Like" button, below. 3 September 2011 Restored some peripheral materials, such as glossaries. Added support for tables to the HTML generation program, which makes money, weight, and measure tables look better for both translations that currently have them. 1 September 2011 Added Tuma-Irumu NT. Added link to VanuatuBibles.org. Replaced private use area characters with standard Unicode characters where possible. Regenerated all Scripture web pages. This site is now hosted on a newer, faster server, with more room for more Scriptures. Added Minimib NT. Regenerated West Kewa Scriptures to have better navigation for the partial Genesis. Added Awara Genesis, Ruth, and Jonah. Added Kein, Nii, Sembeleke, and Fasu NTs. Added Keyagana NT and portions of OT. Added Nek Gospels. Added Kombio Wampukuamp and Yanimoi Dialect Scripture portions. Added Usarufa Genesis 12-22 and NT. Added Waffa, Waris/Walsa, Weri, and Wantoat NTs. Added Saposa Genesis, Joshua, and NT. Added Selepet, Siane, Sulka, Washkuk/Kwoma, Timbe, Telefol, and Siane-Lambau NTs. Added Umbu-Ungu NTs in Anelale, Kala, and No Penge dialects. Added Rotokas, Yareba, Sio, Waskia, and Salt-Yui NTs. Added Mape, Mengen, Muyuw, Nabak, Nakanai, Nobonob, Oksapmin, Olo, Naasioi, Kwanga, Kosena, Komba, Koiali, Iwal, Iyo, Kanasi, and Filifita NTs. Added Iduna, Kamula, Yele, Yessan-Mayo (Yamano and Yawu dialects), Karkar-Yuri, Faiwol, Fore, Golin, Iamalele, Inoke-Yate, Sepik Iwam, and Wuvulu-Aua NTs. Added Buang Mangga Glossary. Corrected Ethnologue code for Kara to leu and moved it to the leu directory. Added Kamasau, Korafe, Borong, Kuot, Mangseng, Mekeo, Mauwake, Madak, Mbula, Mian, Manam, Namiai, Orokaiva, Waima, Rawa, Karo, Mende, Saniyo-Hiyewe, Siroi, Takia, Tubetube and Kanite NTs. Added Bunama, Daga, Dano, Dawawa, Dobu, Ewage-Notu, Ambulas Wosera-Kamu, Mufian, Ömie, Girawa, Patpatar, Ipili, Kalo, Kara, Kalam, and Ese/Managalasi NTs. Added Dadibi Bible. Changed verse number styles to track closer to the following verse with a small non-breaking space for all languages. Replaced Central Buang Glossary. Added Nyindrou Genesis, Ruth, and Jonah. Added Buang (Central/Mapos) and Zia glossaries. Added Sursurunga NT. Added West Kewa Genesis 12-22. Updated Kuman, Bo-Ung Mara-Gomu, and Ama NTs. Added Binumarien, Burum-Mindik, Bo-Ung (Mara-Gomu dialect), Buang Central/Mapos, Kobon, Vasui (Tinputz), Chuave, East Kewa, West Kewa, Halia, Patep, Ramoaaina, Bukiyip, and Buang Mangga NTs. Added Ama, 'Auhelawa, Awa, Awiyaana, Bargam, Benebena, Biangai, and Bine NTs. Corrected character encoding for m-dash in Barai NT. Corrected link problems with Barai Numbers and Joshua portions. Corrected header typos in Bola 1 Cor. and 1 Tim. Updated Ypma/Baruya Bible Topic Book with better page breaks. Added Qaqet and Tawala NTs. Added Mussau-Emira NT portion. Added Tungag Genesis, Ruth, and Jonah. Restored missing words in word list in Kuman preface. Added Iatmul and Umanakaina NTs. Added Yongkom Genesis and Psalms. Corrected font problem for some browsers provided that the user has the Andika font installed and their browser interpreting characters as UTF-8 Unicode. Regenerated all HTML files for all posted Scriptures. Corrected character encoding problem with some books in Folopa NT. Added the Yau and Omwunra-Toqura NTs. Held back Omwunra-Toqura Jonah and Psalms pending translator approval. Added Usan NT. Held back Usan Genesis pending translator approval. Added Ampeeli-Wojokeso, Aneme Wake, Angaataha, Angor, Anjam, Au, and Arapesh NTs. Marked Amanab Naineri dialect NT as a test version and removed it from the index until consultant checking is done. Added Alamblak NT. Added Amanab NT in both Amanab and Naineri dialects. Added Amele NT + Genesis. Added Tok Ples Witu description document. Lightened background colors on Scripture for better readability. Added Kunimaipa NT. Added Wedau Mark, Imbo Ungu NT, Witu (also known as Wiru) NT, the Wipi NT, the Yongkom NT, and added Tabo NT in both Fly River and Aramia dialects. Updated Yipma 10 Commandments. Added Agarabi and Suena New Testaments. Made corrections to formatting and character encoding of Abau and Adzera NT, corrected spacing in Nyndrou NT preface. Added Bola, Fanamaket, Kandas, and Nehan NTs. Added some OT portions to Misima. Added Doromu-Koki NT and Baruya NT and Genesis. This web site is best viewed with the free Andika and Gentium Basic fonts installed.